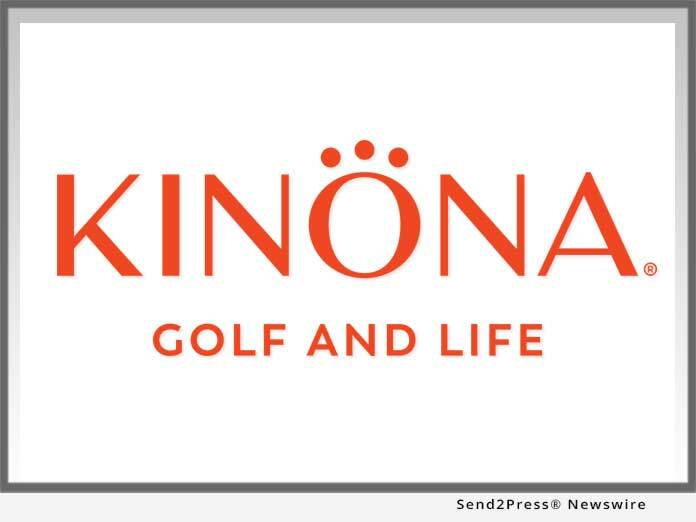 LOS ANGELES, Calif., Apr 12, 2018 (SEND2PRESS NEWSWIRE) -- KINONA, a collection of flattering, modern women's golf apparel designed to bring feminine sensibility to women's golf, announced today that Nathan Boroff, former TravisMathew Apparel CFO, has joined its Board of Advisors. Boroff brings with him specific knowledge about financial planning, forecasting and expansion opportunities associated with high-growth golf apparel startups. From 2010-2016 Boroff acted as CFO of TravisMathew Apparel, where he helped lead the brand's tremendous growth until its eventual 125.5 million dollar acquisition by Callaway Golf Company. Currently, Boroff is the co-owner of Boroff & Co, a Huntington Beach-based accounting firm that specializes in tax preparation, bookkeeping, consulting and various virtual CFO services. "We are pleased to welcome Nathan Boroff to KINONA's Board of Advisors," said Tami Fujii, KINONA co-founder. "He has successfully scaled a startup's growth in the golf apparel industry, and we look forward to applying his firsthand knowledge, proven strategies and unparalleled financial wisdom to KINONA's business model." KINONA launched in early 2018 and currently sells apparel and accessories through its e-commerce site (kinonasport.com), independent pro shops and trunk shows, and its "Champions" - sales associates that host in-home apparel parties and earn commission. Since its launch in January, the brand has experienced month-over-month growth and has exceeded all monthly sales projections. "I jumped at the opportunity to join KINONA's Board of Advisors and be back in the startup golf apparel space," said Nathan Boroff. "I look forward to collaborating with the KINONA team and lending my insight and industry expertise to the brand as an Advisor." Rounding out KINONA's Board of Advisors are Dwight Meyer, Mary Renouf, Chelsey Owen and Marjo Mercado. KINONA is a collection of designer golf apparel that launched in 2018 with a mission to bring feminine sensibility to women's golf. KINONA tops, bottoms, dresses and accessories are constructed using Italian fabrics and include shape-flattering details to ensure a comfortable and breathable fit. KINONA's modern designs transition seamlessly from the 18th green to real life. Learn more at: https://kinonasport.com/.